Bedbunkers Budget offers you plenty of space to hangout with other guests on our rooftop terrace, watch movies in our common area, play games or making new friends. 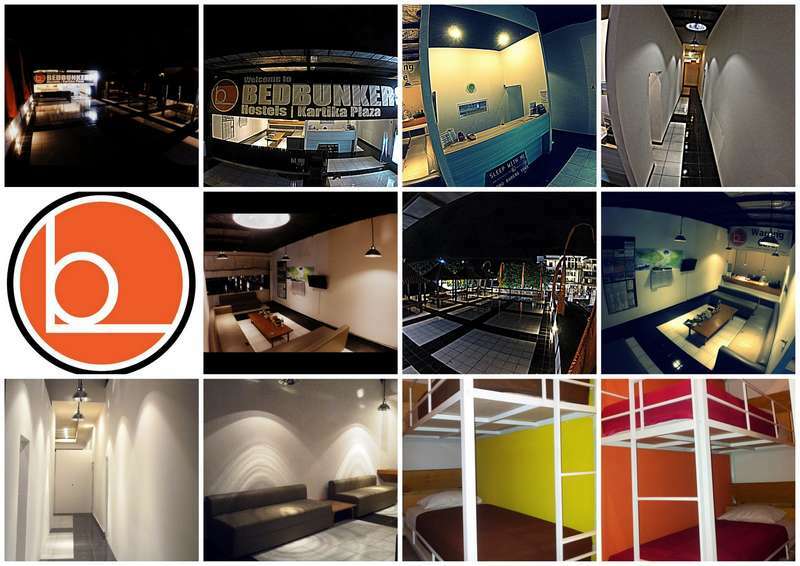 Bedbunkers Hostels is one of the first hostel accommodation businesses in Bali. Our hospitality and services we offer are unique and will be talked about even till after you have left Bali. Stay with us for a guaranteed comfort and experience among other fellow travelers. Strategically located near Kuta Beach! Jalan Kartika Plaza is the closest hostel to/from the airport, to the beach and is on one of the main roads alongside the Kuta coastline. Walking distances to the Kuta Beach Boulevard, Shopping malls and not forget the popular night clubs. If you're more into sightseeing and touring around the island, than we also offer scooter rentals and private drivers to show you around. With an easy access to the highway (Sunset Road) you will be able to drive into each direction! 5 minute walk from Kuta Square, 15 minute walk from the Kuta Night Market & the legian street. We are situated near the "Discovery Mall" at Kuta beach. Across of us we have the "Sun Island Hotel"
We are roughly only a 10-15 minute walk away from the airport. On our street " Jalan Kartika Plaza " you can find restaurants, warungs, shopping malls, souvenir shops, and lots of entertainment. Just a block around the corner you will find the Legian street, where you'll find among others the sky garden nightclub which is always the favorite clubbing destination for all visiting backpackers. After passing the "Lippo Shopping Mall" keep focussing to the right and you will soon see our logo blinking out between all the other shops, restaurants and hotels. Coming from Kuta Square: (Walking/Taxi) Head into the direction of the "Discovery Mall", once you've passed the mall you will want to look to your left. Right across the "Sun Island Hotel" is where we are situated. You are OBLIGATED to pay the FULL (OUTSTANDING) AMOUNT of your reservation upon ARRIVAL. Failure to do so will result in failure to check in. DEPOSITS in this case are non-refundable. You will be charged according to our cancellation policy. A IDR 100.000 Safety Deposit will be taken on arrival per person. Extending your stay with us? Please pay the full outstanding amount in advance. PAYMENTS made for the accommodation are NON-REFUNDABLE, in case of cancelations we do offer our guests the option to RE-ALLOCATE the amount of already paid nights within a period of 1 month starting from the check-in date. CANCELLATION POLICY: Bookings may be cancelled 48 hours PRIOR TO ARRIVAL (10am), otherwise the card used for booking will be charged the full amount of the stay or paid in cash. AS A GUEST OF BEDBUNKERS HOSTELS YOU ARE OBLIGATED TO HAVE READ & UNDERSTOOD THE TERMS & CONDITIONS. Damage Policy: Any unreasonable damages or breakages to Bedbunkers Hostel Kuta property will be charged to the credit card given at the time of booking or paid in cash, within 48 hours of the guest’s departure. We advise you to respect the other guests checking in by not placing objects or using any other beds, blankets or pillows than the one that has been assigned to you. ALL GUESTS WILL BE EXPECTED TO BEHAVE IN A CIVILIZED MANNER WHILST STAYING AT BEDBUNKERS HOSTELS. UNCIVILIZED GUESTS WHO DO NOT FOLLOW OUR RULES WILL BE FINED A PENALTY OF IDR 100.000,- FOR EACH TIME THEY BREAK THE RULES. Our staff has the right to remove and reject unwanted guests from the hostel. All guests must supply staff with authentic photographic identification. Failure to do so will result in failure to check in. All lost or damaged hostel property must be paid for in full by the guest responsible. We ask all guests to respect the environment, as we do, and switch off all switches and plugs where possible. BEDBUNKERS HOSTELS CAN NOT BE RESPONSIBLE FOR ANY LOST OR STOLEN PROPERTY.